Months ago I had to extract WeChat chats from an iPhone 5S. 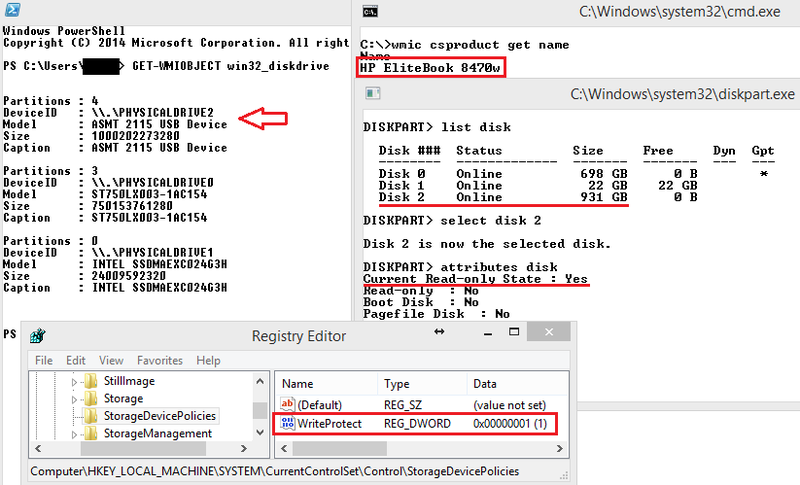 I extracted the data from the device using the UFED Physical Analyzer software. Each parsed conversation contained hundreds of audio messages with AUD extension and so I ended up with thousands of AUD files. After adding the right header, the AUD files can be played for instance with VLC but not in Windows Media Player. WMP doesn't support this format. AUD files have to be converted to something else in order to be played in WMP. The author of the post uses SoX to convert to the WAV format. I found that SoX tends to crash a lot when dealing with corrupted AUD files. I preferred to use libav instead. 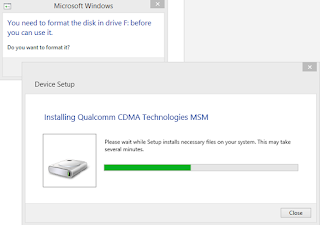 I mentioned WMP because it's a preinstalled media player and sometimes I have to hand in the extracted data to somebody with no admin rights on his computer (that means no way to install new software - like VLC) and with aversion to learn something new (for instance how to use a portable program to open the selected file). You can download the script from my Github repository. Apple iOS 8 introduced a new feature called Recently Deleted album that temporarily displays images that have been removed by the user from the Photos app. 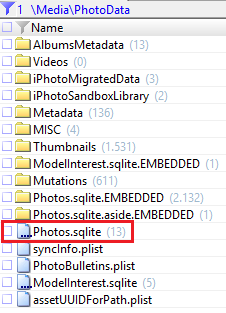 From a forensics perspective, once deleted these images still reside in their original path but they are marked as trashed within a SQLite database called Photos.sqlite. 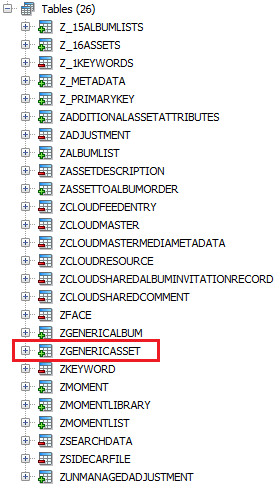 ZGENERICASSET is the table containing this information. 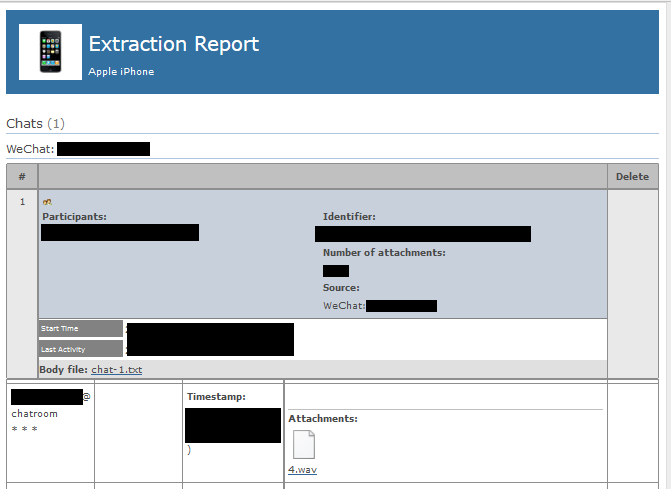 [UPDATE 02/10/2017]: This post has been cited as a source in the "Application data analysis" section of Learning iOS Forensics, 2nd ed. (p.286). 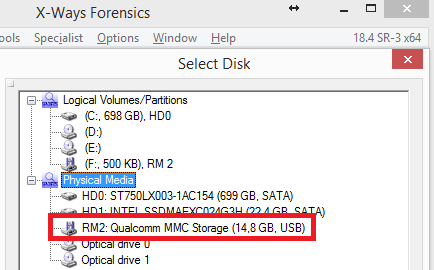 The forensic acquisition produced a 15 GB raw image. When I opened the file, all I got was just a list of partitions. None of my tools were able to recognize and parse the file system of each partition. What caught my attention was the size of the last partition (14.7 GB) and the exFAT signature. 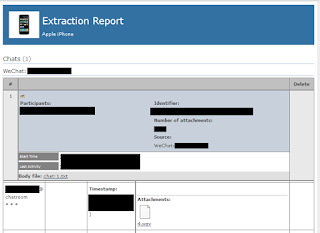 Luckily for me, X-Ways Forensics (XWF) is a very flexible tool. 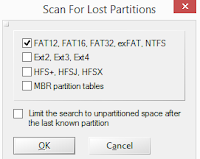 My analysis wouldn't have been possible without XWF and the precious help provided by its creator Stefan Fleischmann who improved a lot the parsing of exFAT volumes. 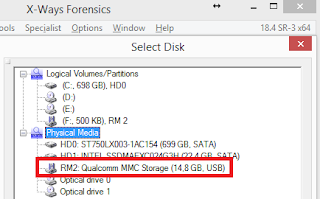 open the image with X-Ways Forensics v18.5. 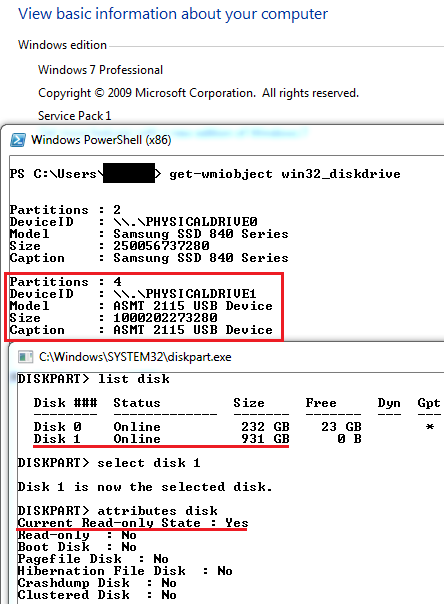 From XWF v18.5 beta2, the partition containing Windows Phone data will be shown as WinPhone Container. 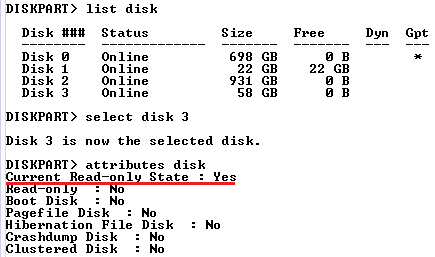 In the figure below, it's partition 8.
double click on each of them: one of them will be fully parsed. In my case it was partition 10. 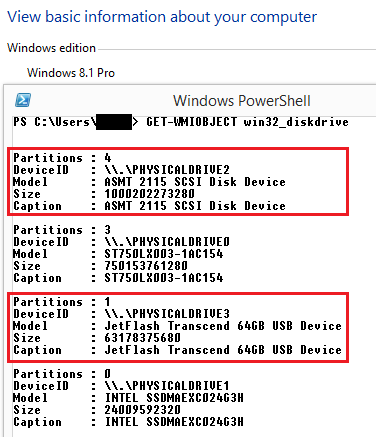 Then add the partition to your active case. The file system is not encrypted. 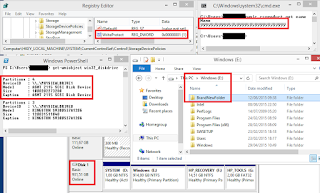 That allowed me to run data carving to recover deleted files, especially pictures and videos. What follows is a gathering of the main artifacts that I managed to manually extract and parse. Bear in mind that my assumptions could be imprecise or incorrect. I ran strings against both of the files. I haven't found any timestamp inside the pim.vol file. In hex view the body of each text message is preceded by the string "IPM.SMS" or "IPM.SMStext". From what I've seen, the timestamp is not nearby the message and I don't know where it could be located. 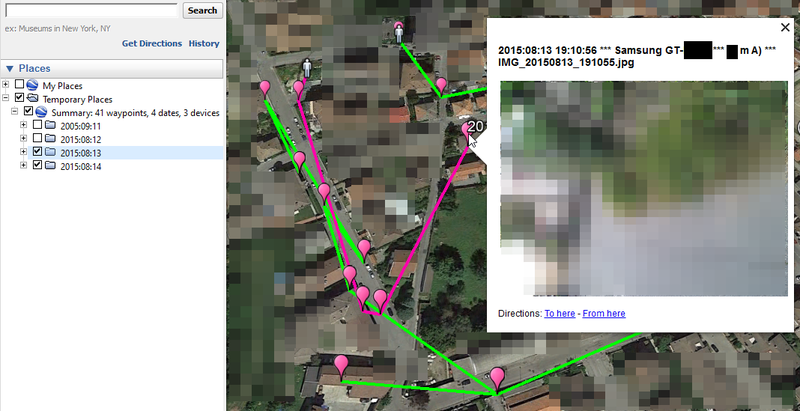 It's possible to distinguish sent messages from received messages by the fact that a sent message lacks the phone number of the recipient in its structure. 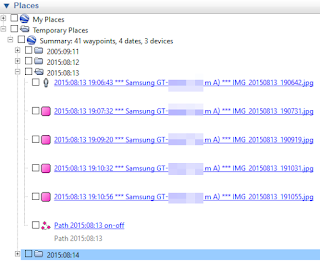 I successfully retrieved thousands of old text messages from unallocated space. 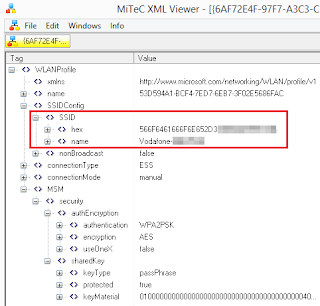 In order to carve out deleted SMS XML entries, add the following data to the file File Type Signatures Search.txt located in the XWF installation folder. Within XWF, press F10, tick the File header signature search checkbox and press OK. 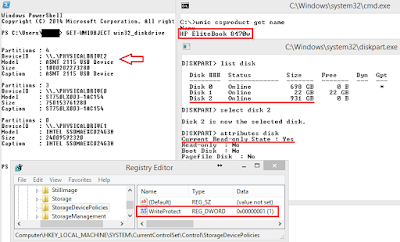 In the File header search window, tick the newly created signature and choose complete byte-level search at the right bottom. 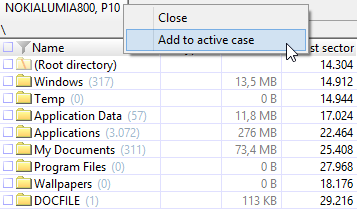 Once finished carving, export all these files to a folder. 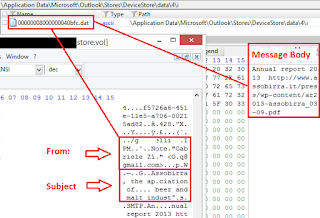 Use my script wp78_sms_xml.py to automate the parsing of all these carved messages. 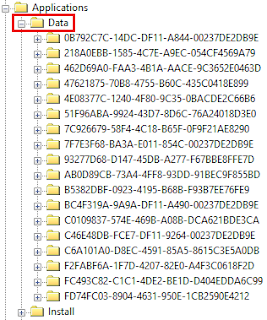 The file names are numeric (in hex format) and are in the order in which the pictures were saved on the phone. 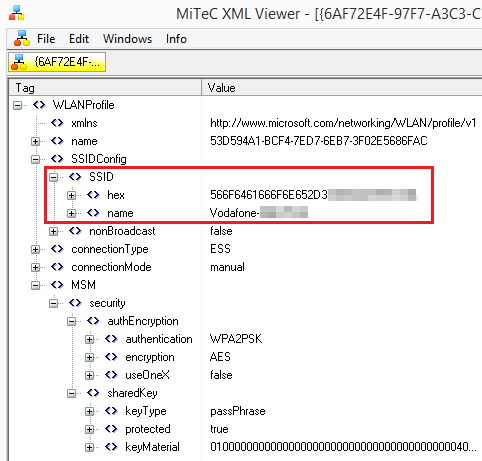 Even though the phone is running Window Phone 7.8, EXIF metadata shows Windows Phone 7.5. Data carving allowed me to fully recover many deleted pictures. I used the freeware utility CompactView to open this file and read the table ReceivedFiles. 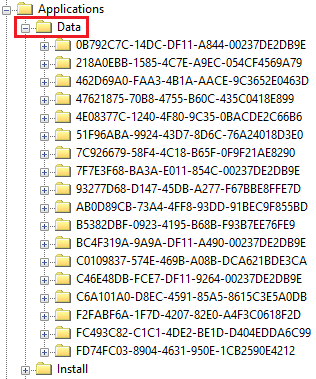 The .dat files contain the message body of each e-mail. The header is stored in the store.vol file. A keyword search for the term SMTP in the store.vol file allows to find all the e-mail addresses related to received and sent emails. In the following picture I show the content of an incoming email that I'd sent to myself from another device during the testing. The email is stored inside a dat file. Its partial header is located inside the store.vol file. I don't know yet how to automate the correlation of these two blocks of information. 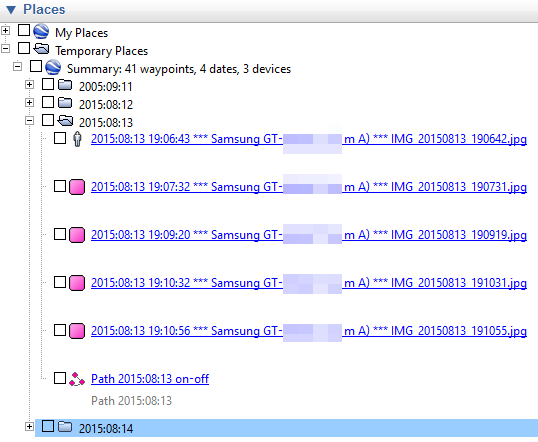 I extracted the entire guest folder and parsed it with full success with Internet Evidence Finder v6.6. The two paths \Applications\Data and \Applications\Install contain the same number of subfolders with the same ID names. 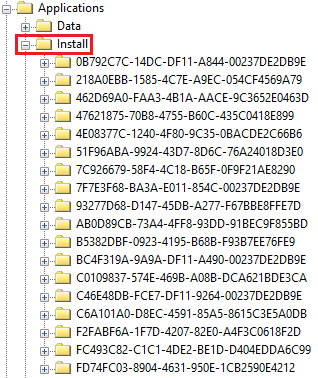 The data folder contains app settings and user data while install is the installation folder. I wrote a small python script wp_appid.py that automatically retrieves AppNames from AppIDs. Creation time will correspond to the first connection to that SSID. Each entry shows as well when the PDF file was opened. Deleted messages: I successfully carved out SQLite databases with XWF. That meant thousands of deleted messages recovered. 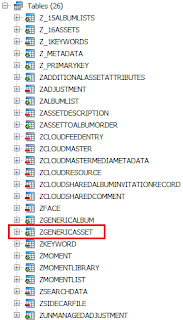 Under this folder there are files in JSON format with a prefix name ItemViewModel containing metadata of files stored on the user's OneDrive account. These files contain useful pieces of information that inform us if a OneDrive account is in use: DiskQuotaUsage, DisplayQuotaRemaining and DateModifiedOnClient. In case SyncUpload is active on the phone, we'll also see additional details for uploaded files such as: filename, extension, displaysize, lastaccess, modifieddate, ownername and sharinglevel. Time values are measured in 100-nanosecond units called ticks, and a particular date is the number of ticks since 12:00 midnight, January 1, 0001 A.D. (C.E.) in the GregorianCalendar calendar. For instance, 635503790921870000 decodes to 2014-10-31 19:04:52.187000. Here's a post on how to convert from ticks to human readable date. The path \Windows\Registry\ contains two registry hive files: system.hv and user.hv. 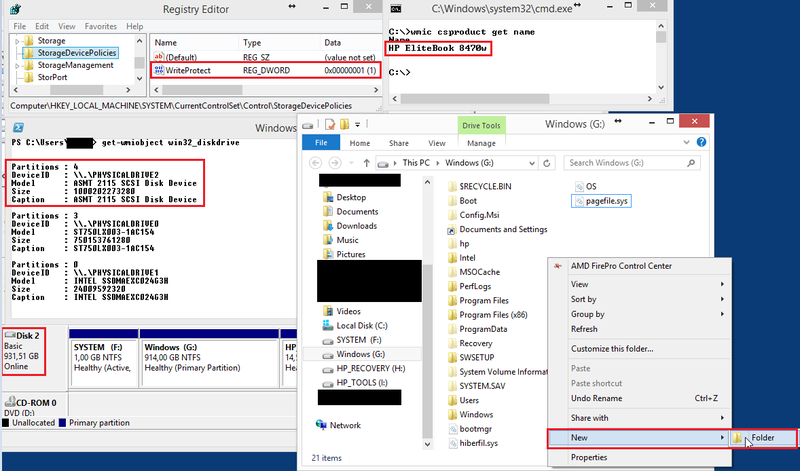 Timestamps are encoded in Win64Bit Little Endian. I'll list below some artifacts that can be extracted from the two hives. 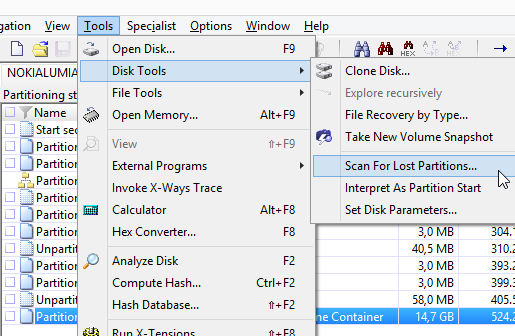 We can use them as keywords to perform searches in the unallocated space. LastShutDownDateTime keeps track of the last shutdown time of the device. 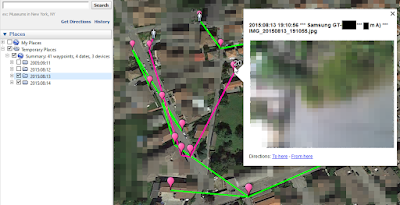 LastKnownLocation (provides date/time and GPS coordinates - I noticed it got updated when I took geotagged pictures and when I chose Find my phone). I wrote three Python scripts to automate the parsing of all the above artifacts. 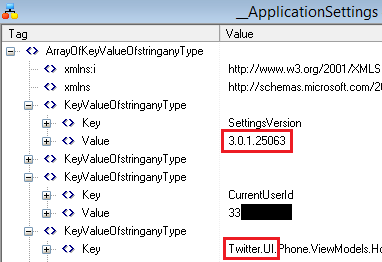 Some pieces of code are taken from the script wp8-callhistory.py written by cheeky4n6monkey. wp78_parser.py: you can run it against specific files or the entire image. 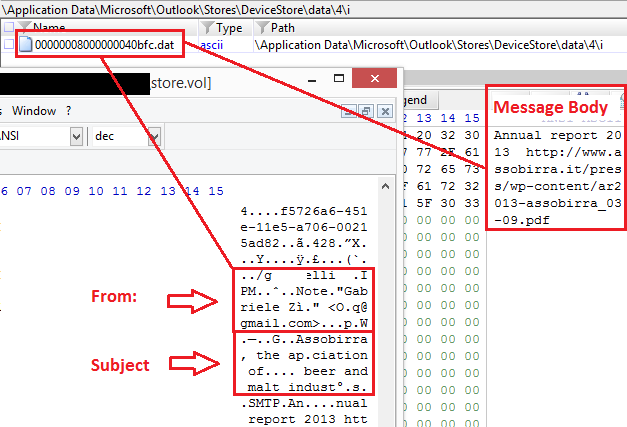 Call log and contacts are extracted from store.vol and pim.vol only. wp_appid.py: finds AppNames from AppIDs. If you need to query multiple AppIDs at once, write them in a text file and use the file as input data. When reading from a text file, the script will automatically skip invalid lines and wrong characters. So you don't have to worry about normalizing input data. You can download the scripts from my Github repository.